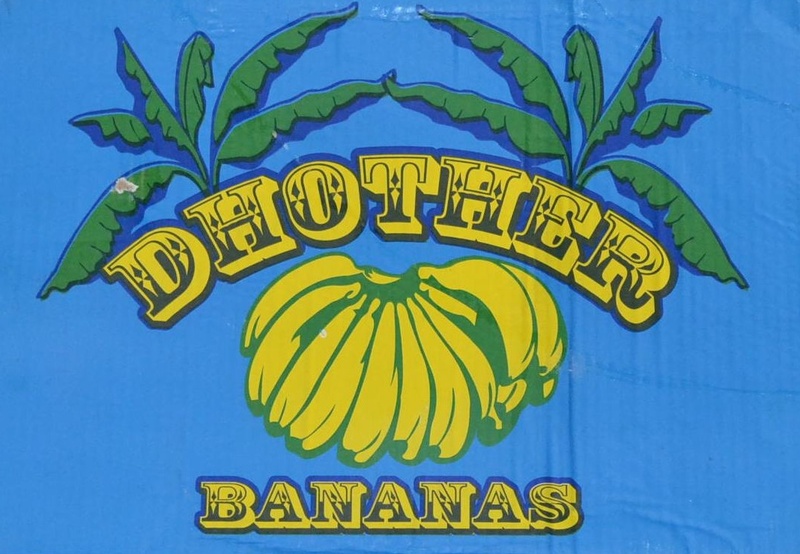 Emblematica – The fruit box as coat of arms. When I was six my family moved from Ireland to Australia. Considering I have only patchy memories of being 6, this day is remarkably strong in my memory. There are many parts of the journey that I can remember clearly: the car trip to the airport in Dublin; the ground disappearing rapidly beneath us as we took off over the Irish Sea; flying across never-ending sandy ridges in the middle east; asking Dad when we stepped onto the tarmac in Saudi Arabia if the plane engine was the source of the intense heat. It wasn’t, he told me, it was just damn hot. I remember stopping in Singapore and shopping for a Commodore 64, and I remember the excitement of approaching Sydney as the sun rose through the tiny windows on the plane. What I really remember though, or at least what is stronger as an image in my mind’s eye than any other, is when we were waiting for a connecting flight to Armidale in a small, quiet terminal at Sydney Airport. I remember it because as we waited I stood near a floor-to-ceiling glass façade looking out over the broad expanse of the runways and there was this enormous blue sky with barely a cloud in it. It was a sky I’d never seen before, and the light from the sun gave everything a sensational clarity. The move was a massive upheaval in our lives. Perhaps this is why I can remember the journey so well. All the emotion, the energy and the excitement of that 30 or 40 hour period between Dublin and Sydney fixed in my mind a series of images and sensations. Maybe that is why we love to travel; the experience of being in a new place and time generates chemicals in our brain like trays of developing fluid in a darkroom, fixing the experiences within us in a way that being at home couldn’t. “Before we went to bed at night I would look up… at the sky and I couldn’t believe it. Because for six years in Belgium – it’s a beautiful country, a beautiful place – but through the mines, pollution and all that, I never seen the stars. And that night I seen the stars and… clean, clean, you see the moon and everything – really blue. And then in the morning I saw the kangaroos and heard the birds – I never heard a bird over there… and I said, ‘Ermes, you are here, you are in Dimbulah, and in Dimbulah I’m going to stay until I die’”. Ermes tells this story in his living room. In the background there are objects of significance – photographs, shelves with ornate porcelain, and a small banner with a coat of arms that has the words “Fogolar Furlan N.Q.” on it. The Fogolar Furlan, I discovered, are a community of migrants from the Friulan region of northern Italy that foster their native traditions. One of the patterns I have detected in my fruit box collection is the prevalence of European, Eastern European, Meditteranean, and Sub-Continental names on boxes. 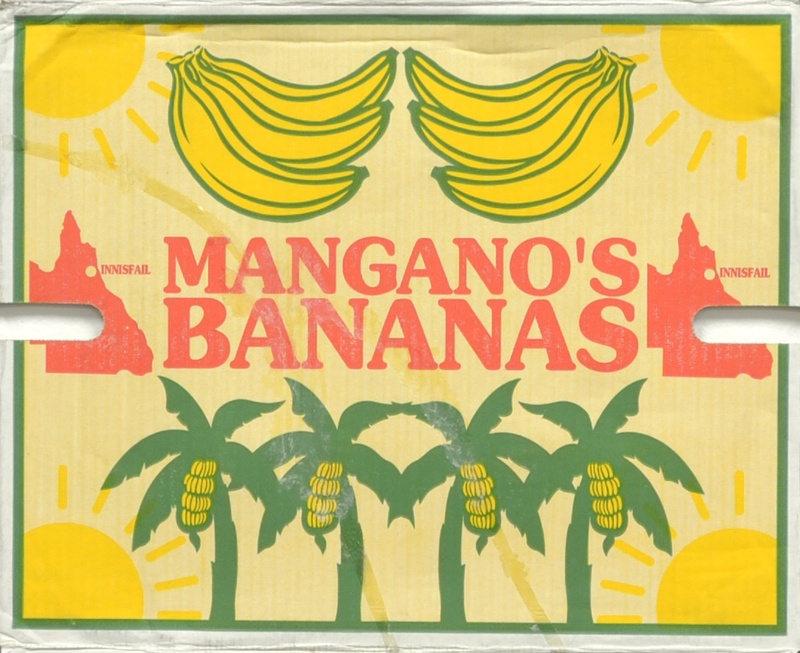 Names like Borsato, Lizzio, Fiorito, Mangano, and Di Carlo (to name just a few) adorn banana boxes in Far North Queensland. Given that Australia’s heritage since white settlement has been predominantly Anglo-Celtic, there is a particularly strong representation of ethnic migrant heritage in the fruit and vegetable farming industry. What’s also significant is that there is pride in the packaging. 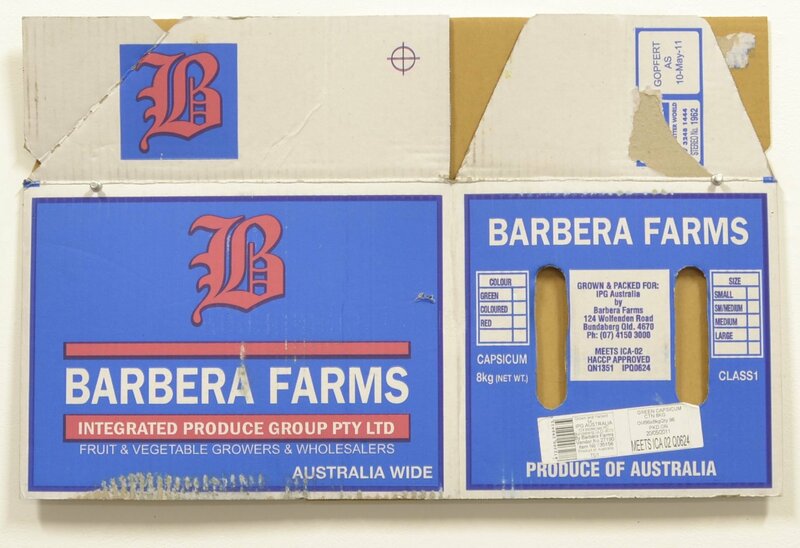 Not only is there an energy in the colours and the designs, but the farmer’s family name is often emblazoned centrally on the box over an image that is flanked by some sort of symmetrically rendered vegetable matter. These sorts of design arrangements recall a coat of arms; they are badges of honour, devices for stating who you are and what you represent. They project a pride in one’s name, what one does, and where one is from. 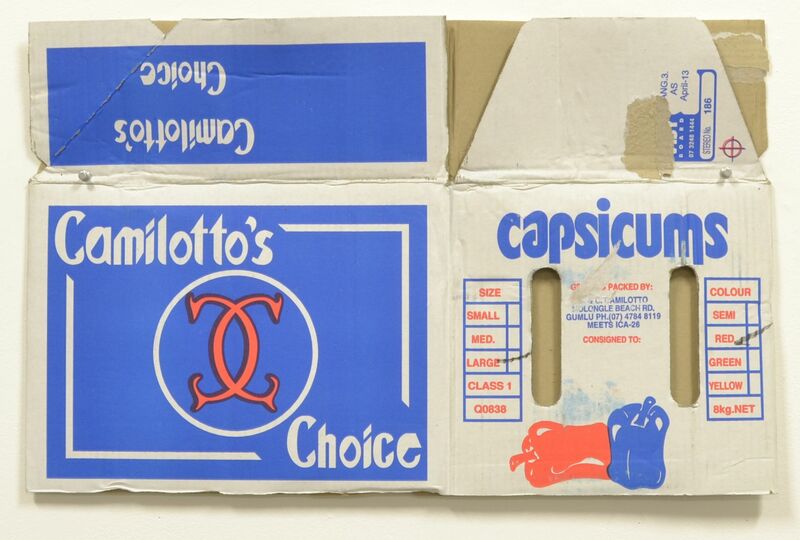 It occurred to me that it makes perfect sense for a fruit box to resemble a coat of arms. It would give a person a huge sense of accomplishment to come to a country and establish a farm on a land that is hostile in many ways, make a living from this land for their family and its future generations, all while trying to integrate with people and their social customs in a new language. By the same token, many migrants would have come from a country that has hundreds of years of farming tradition behind it, where opportunities to make a name for one’s self are relatively thin on the ground. Coming to a new place, starting afresh and finding a way is an empowering process of personal self-determination, a process that warrants celebration in presenting the fruits of one’s labour. 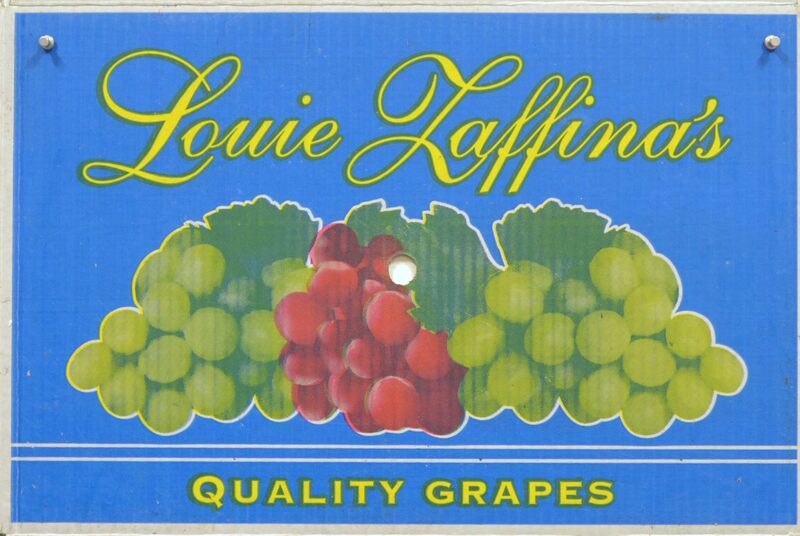 I cannot be certain that this is what the fruit box represents for any single farmer of ethnic heritage. Such a design may not have been consciously constructed in this way, and indeed some of the designs that I have designated with ‘coat of arms’ status may be stretching the definition. In my project I am using a creative license to construct meanings from patterns that become apparent in the processes of collecting and categorising. I set out by asking what possible ideas about place could be gleaned from fruit boxes. They are used to convey fruit from the land, but could they also convey meanings and/or truths about the land and the people on it? As my collection grew I soon set aside (but not abandoned) the questions that I had embarked with, and instead looked at the designs and allowed them to tell me things. The ethnicity of farmers became apparent, and it occurred to me that perhaps these people were coming from places where similar farming practices and weather conditions were present. They were transferring their skills to a new place, a place where they saw there was opportunity. Opportunity was what brought my family to Australia, or at least the perception of it. Two of my aunties and their families were already here and they played a large part in our decision to leave Ireland. As hard it is to move away from a place and the people you love, sometimes you have no choice. The place you love demands that you leave. For my mum and her sisters the move brought with it a strange mix of sadness and liberation. Australia represented a place to start afresh, free from the weight of social baggage and traditions. I’m sure it represented the same to many fruit farmers. There are benefits in being so far from home. You are able to take the things that you like about your heritage and leave the things you don’t. My parents have objects around their house that serve as fragments and memories from Ireland. They also have a plaque with two coats of arms on the wall – a Rafferty alongside a Flanagan (my mother’s maiden name). I’m not sure what either of them represents, and I doubt my parents do either. Perhaps it is time to make our own fruit box. Next Post Behold! The Cartonographic!